Coffee has many beneficial effects as a beverage and it protects from illnesses like diabetes and Parkinson's disease, scientists have claimed. The recent International Science Association of Coffee (ASIC) assembly, held in Montpelier, held that even those who consume substantial quantities of coffee (six cups daily, for example) should not suffer from digestive or heart diseases if they are healthy. 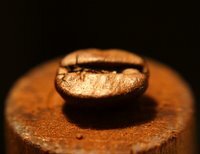 It has been widely recognized that the research about coffee had been focused on caffeine for a long time, but scientists consider that the bean has a group of very rich constituents, according to a French researcher Astrid Nehlig. Nehlig, who specializes in coffee-health interaction at the French National Institute of Health and Medical Research (INSERM), said the grain also contains Clorogenic and Melanic acids, known as potent antioxidants. Some experts, like Italian Carlos la Vecchia, suggested that coffee reduces the risks of cirrhosis of the liver by 60-80 per cent. Quoting epidemiologic research, Bertil Fredholm of the Karolinska Institute in Stockholm said coffee consumption can protect people from Parkinson's disease. Some scientists even said coffee is more efficient than fruits and vegetables to counteract DNA oxidation, which causes several serious diseases, among them Neoplasia. This was originally posted on the net by a Paris based publication, Bureau Report on Sept 14, 2006. We would have loved to have credited the writer, but none was given in the original.